Have Questions? Ready to get started? Let one of our solar hot water professionals help you get all of the information you need about your new solar hot water system, our financing options and the buying process. SunMaxx Solar is a company dedicated to delivering to quality and affordability through state-of-the-art solar thermal products and systems. Our global reach allows us to bring you the best solar thermal products in the industry every day. We are an interactive company, driven by passion, motivation and responsiveness to our clients. And, we have been delivering residential and commercial solar systems to the world for more than 7 years. 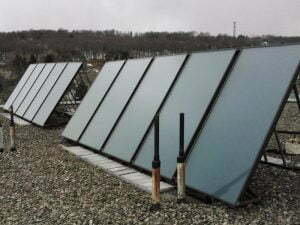 SunMaxx Solar has a team of industry leading solar thermal professionals that are here to provide engineering services to support your Solar Thermal needs. SunMaxx has successfully completed hundreds of projects around the globe and we are eager to assist you with your project.